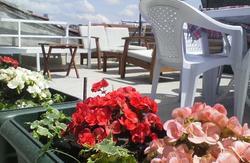 Mystic Simurgh Hostel is located at the heart of Istanbul, Taksim. We are at the centre of the busy and lively pedestrian street Istiklal Caddesi, and walking distance from the notable cafes, bars, night clubs, restaurants, theaters and galleries of the city. If you are looking for lusty entertainment, late night welcome and lost in crowd a central and cheap place to stay at, Mystic Simurgh Hostel is the right address for you. - There is free Internet access all day long. - Sheets and towels are included in the price, as coffee and tea. - You can wash your laundry for a low price. - There is also hot water available all day long. - You can drink Turkish tea and play Backgammon with new friends in our newly furnished common room. 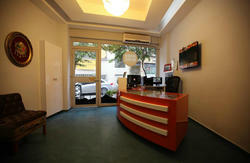 - We are located at the center of Istanbul's night life and shopping area. This means that on weekend nights, and on some nights during the week, it may get loud outside the hostel. For this reason, we recommend you to bring a pair of earplugs in order to have a comfortable sleep. - Please note that our double rooms have one large bed for two people, not two single beds. - If you do not enjoy making new friends from all over the world, or if you are looking for a place as comfortable as a hotel, we suggest you to not book our hostel. - Our reception is open 24/7. If anything bothers you during your stay, or if you have any questions or problems, do not hesitate to contact the front desk. We will do our best to make you feel at home. - Payments are made in cash upon arrival. - There is no curfew so feel free to come and go 24 hours a day. 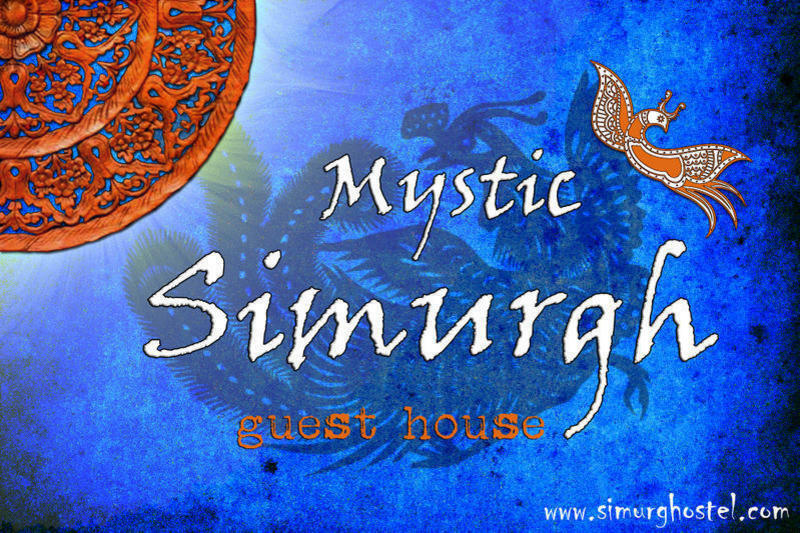 Looking forward to welcome you at Mystic Simurgh! First Option: You can use the paid shuttle service (Havaş) provided by Turkish Airlines to come to TAKSİM. The ticket for the Havaş bus is approximately 7 . When you arrive Taksim, youll see a wide street crowded with people and called İstiklal Caddesi. If you wont see it, you can ask anybody for it is a very well known street. Keep on Istiklal Street approximately for 5 minutes and youll see the huge white building on your right: Demirren Shopping Mall. The second road after passing the shopping mall is called BALO sokak. Keep in mind that there is HALK BANK on the corner of the road. Just turn right from here. After a short walk on Balo street take the first right. This street is called Byk Bayram Sokak. And youll see the huge odda HOTEL on your left once you enter Byk Bayram Street. Mystic SIMURGH will appear after a few steps on your right: Number 13. Second and more costly option: You can take a taxi. However we believe it is not necessary. It will cost you approximately 25 . The price might decrease depending on your bargaining performance, but no much. Still, if you take a taxi, you can ask the driver to call the hostel and we can explain the address directly to him. First Option/SHUTTLE: You can use the paid shuttle service (Havaş) provided by Turkish Airlines to come to TAKSİM. The ticket for the Havaş bus is approximately 5 (10 Turkish Lira). When you arrive Taksim, youll see a wide street crowded with people and called İstiklal Caddesi. If you wont see it, you can ask anybody for it is a very well known street. Keep walking on Istiklal Street approximately for 5 minutes and youll see the huge white building on your right: Demirren Shopping Mall. The second road after passing the shopping mall is called BALO sokak. Keep in mind that there is HALK BANK on the corner of the road. Just turn right from here. After a short walk on Balo street take the first right. This street is called Byk Bayram Sokak. And youll see the huge odda HOTEL on your left once you enter Byk Bayram Street. Mystic SIMURGH will appear after a few steps on your right: Number 13. Second Option/METRO: From the airport you can take the metro to AKSARAY. (The ticket for metro is 1.75 Turkish Lira, approximately 1 . You can ask for the bus to TAKSIM once you arrive Aksaray. You can come to Taksim by bus or yellow minibus. They also cost approximately 1 . You should tell the driver that you want to get off at mer Hayyam otobs durağı (bus station). If he doesnt get it, tell him it is across BEYOĞLU EMNİYET Mudurlugu (Beyoğlu Police Station). Balo Street is right next to the bus station, on the right. After entering Balo Street, take the second street on your right. This street is called balo street Bayram Sokak where Mystic SIMURGH is situated. Youll see its sign on the right after a few steps. Third Option: If you find the second option too complicated you can get off from the bus or minibus at Taksim square. 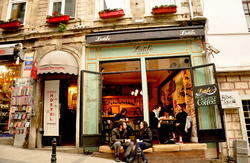 When you arrive Taksim, youll see a wide street crowded with people and called İstiklal Caddesi. If you wont see it, you can ask anybody for it is a very well known street. Keep walking on Istiklal Street approximately for 5 minutes and youll see the huge white building on your right: Demirren Shopping Mall. The second road after passing the shopping mall is called BALO sokak. Keep in mind that there is HALK BANK on the corner of the road. Just turn right from here. After a short walk on Balo street take the first right. This street is called Buyuk Bayram Sokak. And you will see the huge odda HOTEL on your left once you enter Buyuk Bayram Street. SIMURG will appear after a few steps on your right: Number 13.